We would like to thank Michael Levanthal of Frontline Books for allowing us to copy this photo. 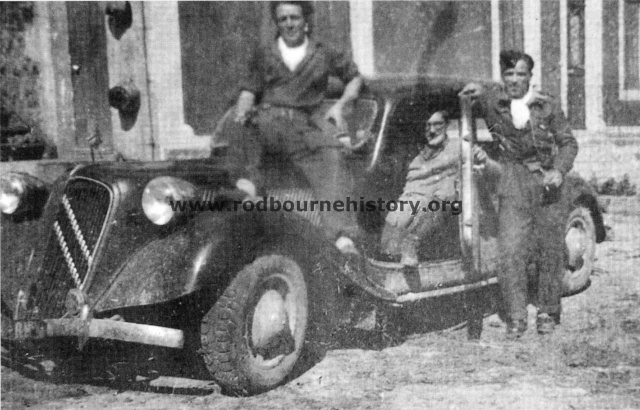 Additional Information – The car was a Fiat which was one of many cars that the Maquis used to transport personnel around, Photo might have been taken in Ouroux en Morvan, France. 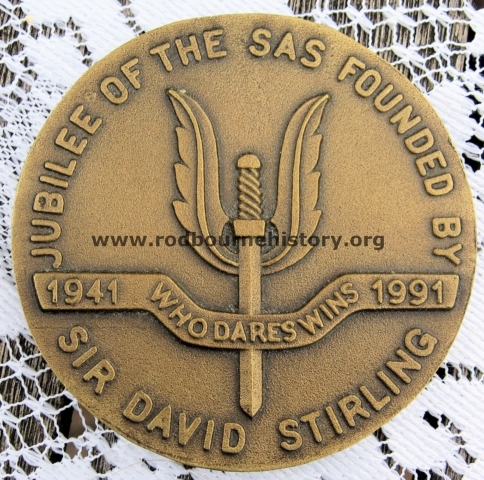 The photo was taken from the book “SAS with the Maquis” by Ian Wellsted who was Ken’s Commanding Officer. 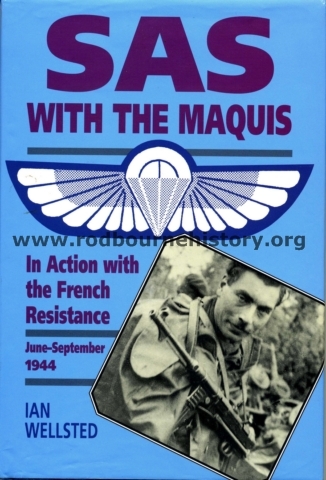 Additional Information – Fly sheet of the book “SAS with the Maquis” by Ian Wellsted signed by some of Ken Sturmey’s old comrades in the SAS. 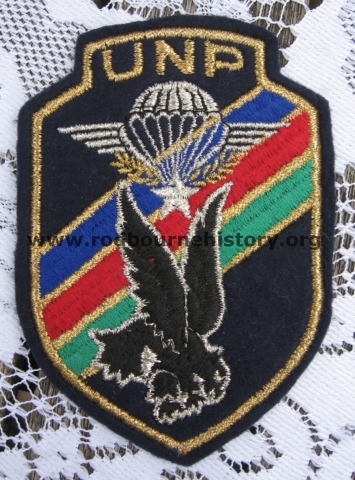 John (Johnny) Wiseman was a Captain in A Squadron who took part in Operation Houndsworth and Terry Moore was in the original 1st SAS “L” Detachment which served with the Long Range Desert Group in the desert campaign. 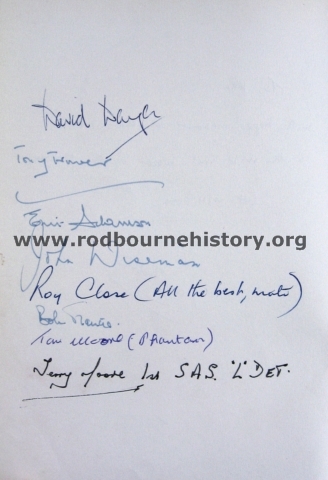 Additional Information – Inside Cover of the book “SAS with the Maquis” by Ian Wellsted signed by the author. 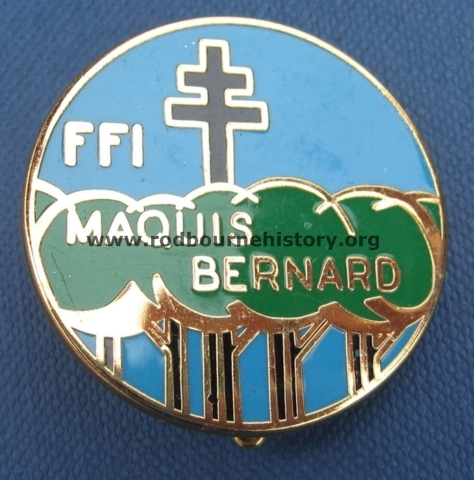 ” To:- Ken With happy memories of those months in the wild wet woods of the Morvan. Get well soon Best Wishes Ian Wellsted “. 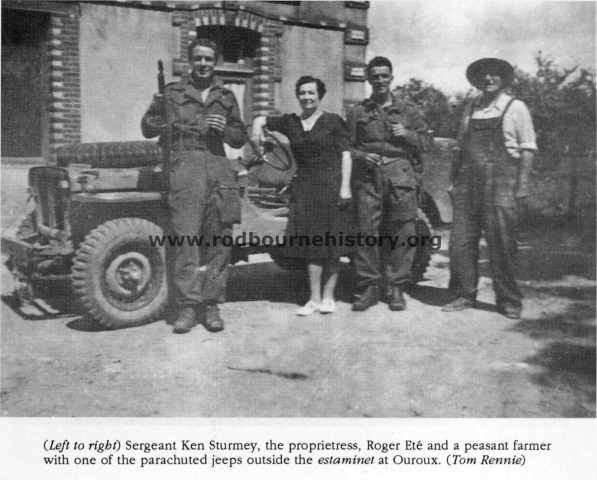 Ian was Ken Sturmeys’ commanding Officer in A Squadron, 1st SAS Regiment during “Operation Houndsworth”. 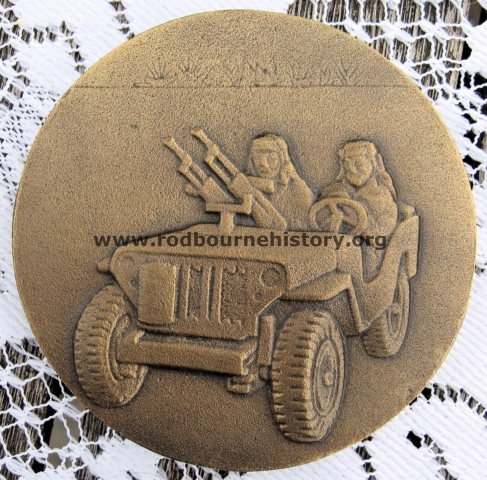 Ken took part in raids on railway marshaling yards etc to cause disruption to German transport lines during the Normandy offensive. 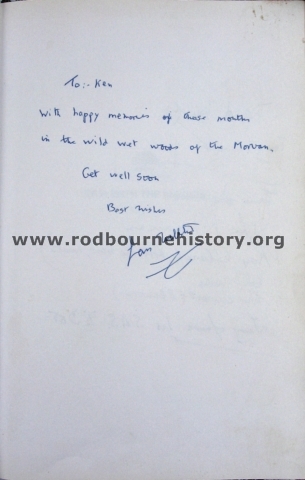 There is a sad note to this item as Ian Wellsted’s signed “Get Well Soon” must refer to Ken being ill and in fact Ken sadly died in the same year.